Share two (2) “teaser” sentences from somewhere on that page (some times you need more than two for it to make sense). 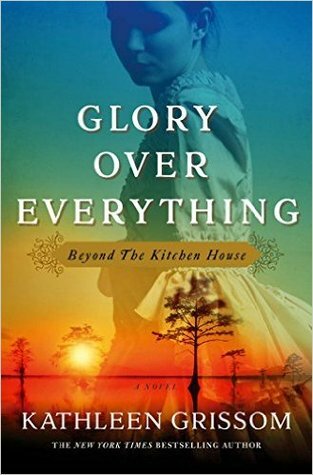 This week's teaser comes from Glory Over Everything by Kathleen Grissom. Let's Take a Shelfie is the final stop on Simon & Schuster Canada's blog tour for Glory Over Everything. Come back tomorrow to check out my review. What are you reading this week? Leave me your TT in the comments below and I'll be sure to check it out! I enjoyed the excerpts. Probably not one I'd just pick up but I would keep reading this. I have heard good things about The Kitchen House, but have not heard much about this one. It's good to know it stands well on its own. I would definitely be interested in reading more.